Forests Minister Doug Donaldson, who is responsible for open-net fish farm tenures, calls closed-containment aquaculture a ‘bright spot’ in the industry's future. The B.C. minister in charge of aquaculture tenures for the province is hinting at a sea change in the provincial government's approach to Atlantic salmon farming in Pacific waters. Doug Donaldson, the B.C. 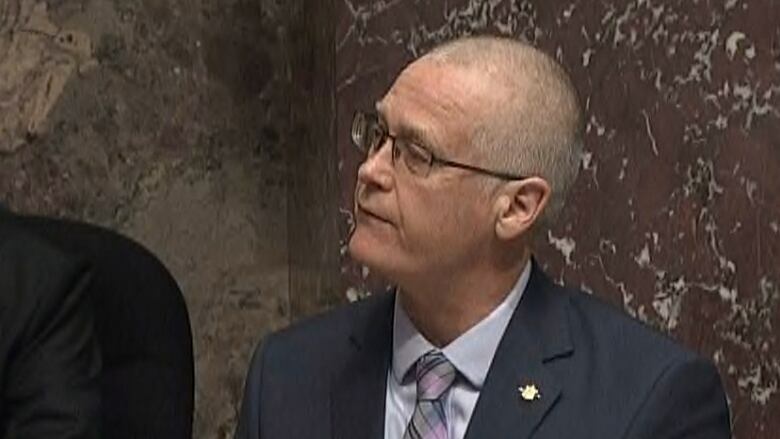 minister of Forest, Land and Natural Resource Operations and Rural Development, says the provincial government can't ban open-net fish farms -— as Washington state did last week — because they are regulated by the federal government. However, with provincial tenures for 22 fish farms coming up for renewal in June, the minister said the provincial government's vision for the future includes moving them out of the ocean and into land-based operations, wherever possible. "We're very concerned as a government about protecting wild salmon and the migratory routes that they use and we're very interested in moving to closed containment where feasible," Donaldson said in an interview with On the Island host Gregor Craigie. Provincially-issued foreshore tenures allow people to access the fish farm from land, and to anchor structures that sit in shallow water. Provincial officials have launched "government to government" discussions about the future of the 18 fish-farm tenures in the Broughton Archipelago, which are opposed by five bands representing six First Nations with traditional territories in that area. 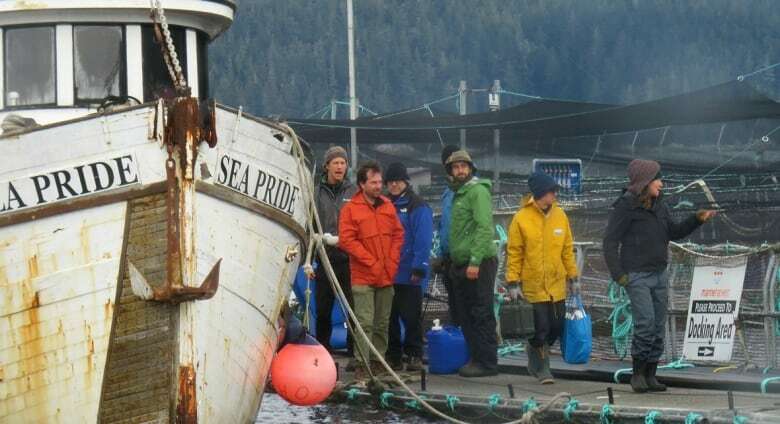 Meanwhile, the Namgis First Nation protested last week that Marine Harvest, which owns one of those fish farms, at Swanson Island, appeared to be preparing to restock its empty pens. Donaldson said restocking is entirely within the industry's jurisdiction, even though its tenure could expire in three months. "What we really want to do is look at the long term of aquaculture with the first nations involved, with community and with industry," he said. "We know there's bright spots in the future as far as closed containment when it comes to Atlantic salmon farming." The cabinet minister's enthusiasm for closed containment comes at a time of growth for land-based salmon farming in several countries. In Port McNeill on Vancouver Island, the Namgis First Nation's closed-containment salmon farm is now marginally profitable after four years, company spokesperson Josephine Mrozewski said. The company harvests five tonnes of salmon every week. The pilot project fulfilled its mission of proving that the technology works, she said, but it would need to be 10 times bigger to earn "investment grade returns." "It's happening," Mrozewski said. "The momentum is being picked up elsewhere than B.C." Newer land-based salmon farms, including the world's largest, under construction in Florida, are 70 to 300 times larger than the one in Port McNeill. Jeremy Dunn, executive director of the B.C. Salmon Farmers Association, said that while 99 per cent of farmed salmon spend the second half of their lives in ocean net pens, aquaculture companies are open to change. Some companies operating in B.C. are involved in new methods under development in Norway, Dunn said, "with tremendous government assistance to help fund those costly programs." With files from CBC Radio One's On the Island with Gregor Craigie.